Lian Li now adds a special Razer edition to their already highly regarded 0-11 Dynamic line. This premium Midi-Tower case is characterised by some striking RGB illumination effects and a prominent Razer logo that appears on the front panel. Aesthetically the Lian Li O11 Dynamic Razer edition is extremely impressive. Being made of 0.8mm thick steel it has a suitably eye catching exterior. 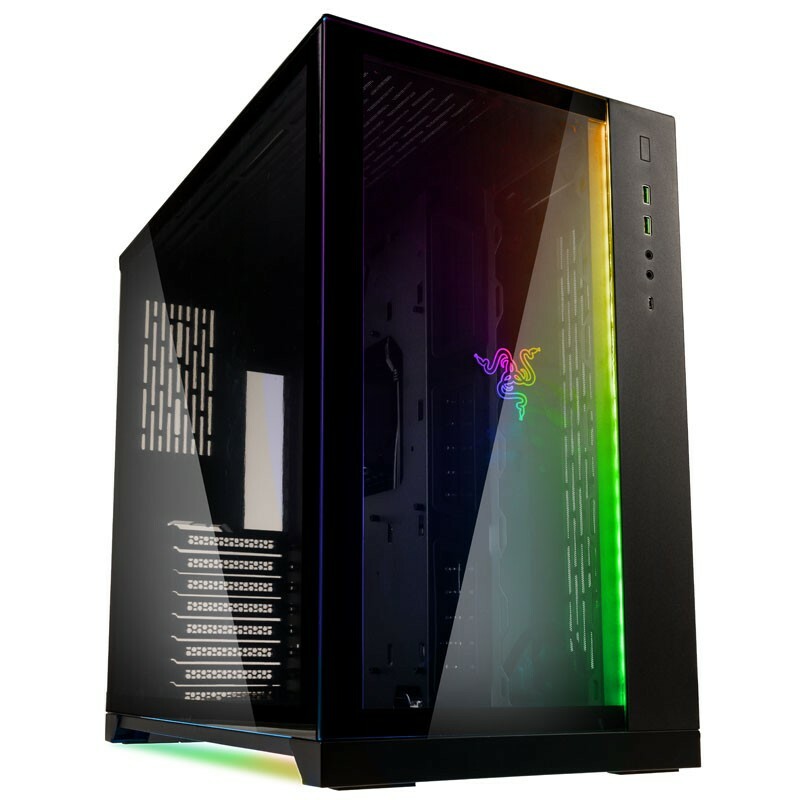 This is complemented by tinted tempered glass side panels, which are the perfect way to display your build's components. Lian Li have given the Razer edition fantastic RGB illumination. 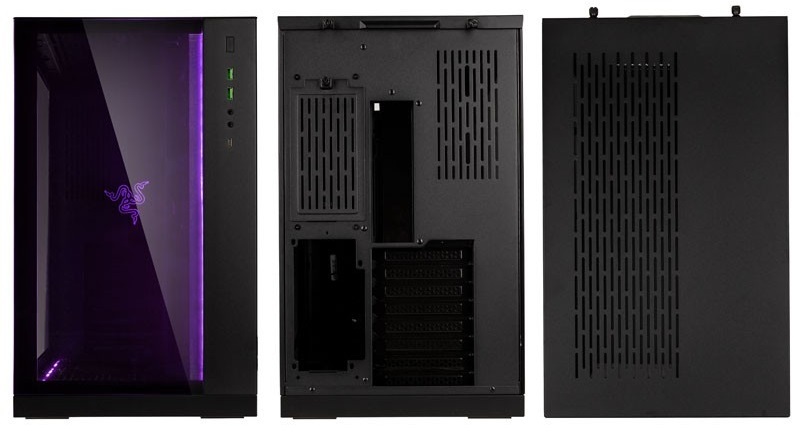 The case has three separate RGB strips, with one running parallel to the I/O panel and two on the base. These are compatible with RAZER Synapse 3, which enables users to assign amazing illumination effects. 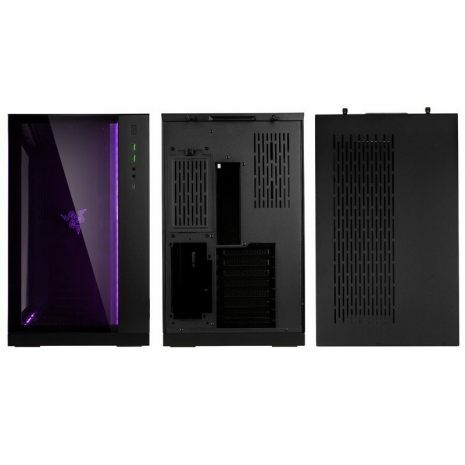 The Razor edition not only looks great but has a great feature set including the capacity to hold two power supplies. 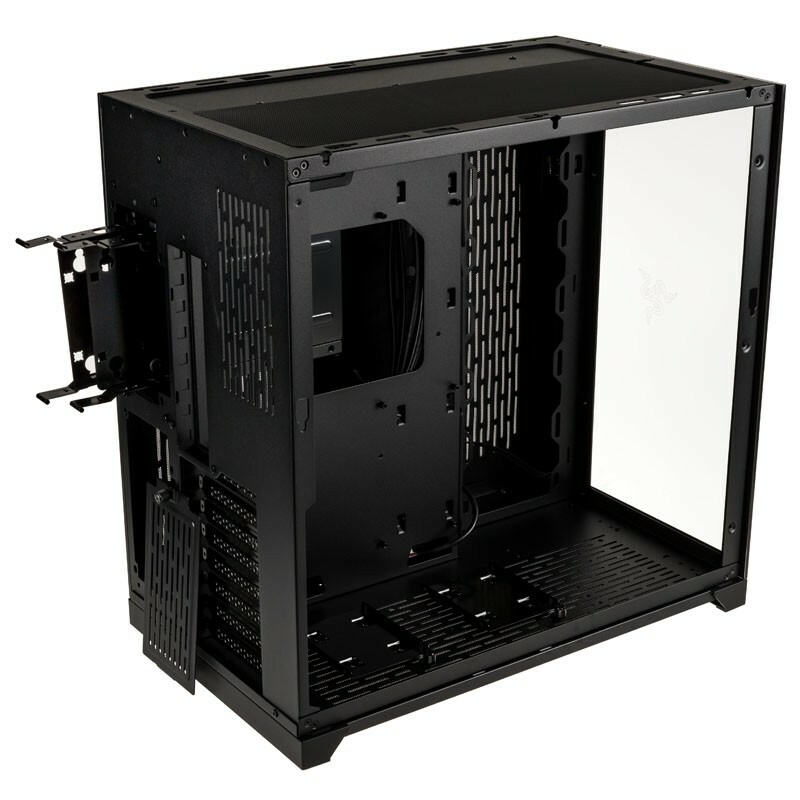 When it comes to the installation of AiO- or custom water cooling, up to three 360mm radiators can be fitted at the same time. That's one on top, one at the bottom and one next to the motherboard. 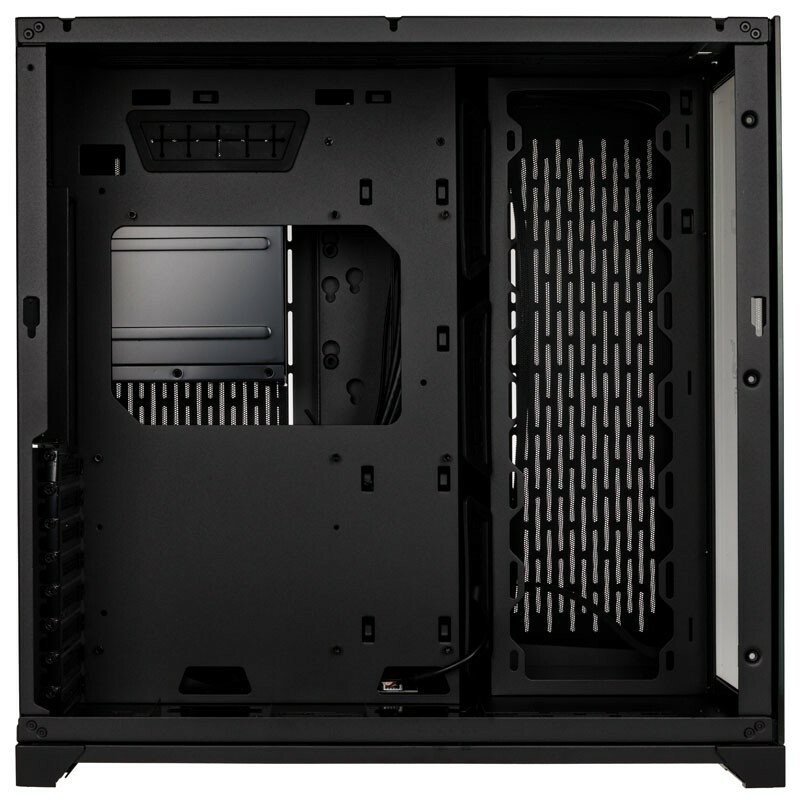 To that end the motherboard tray has been angled to the right in comparison to earlier designs. 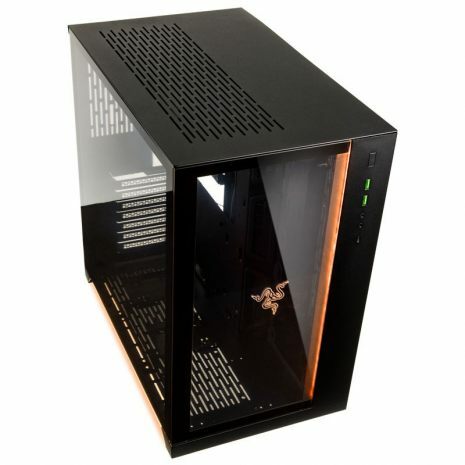 Air inlets are located on the front right hand side of the case. These ensure that heat produced by high-end components is dissipated efficiently and effectively. Naturally the radiator slots can can also be fitted with fans, each of which are capable of holding up to three 120mm fans respectively. 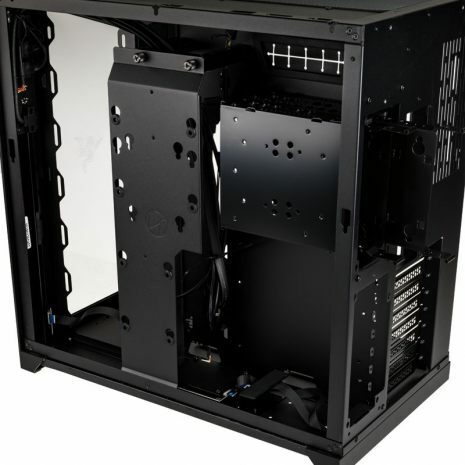 Several partly rubberised cable guides also come situated near where the motherboard would be in order to ensure neat and tidy cable management. In terms of data storage devices, two 2,5" SSDs can be mounted on the back of the motherboard tray. There are two additional 2,5" brackets which are screwed to the bottom of the right side panel. 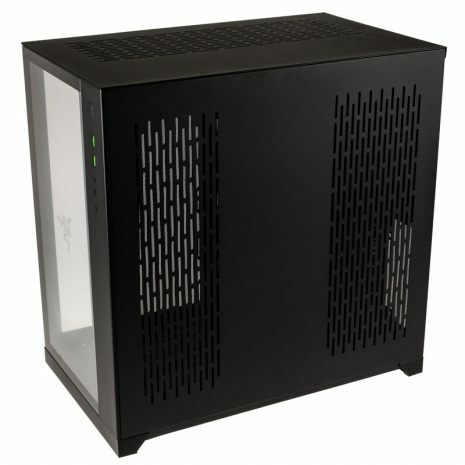 In total, two 3,5"- and four 2,5" drives can be installed. The HDD cage can also be removed to make space for a second power supply which can also be installed vertically. 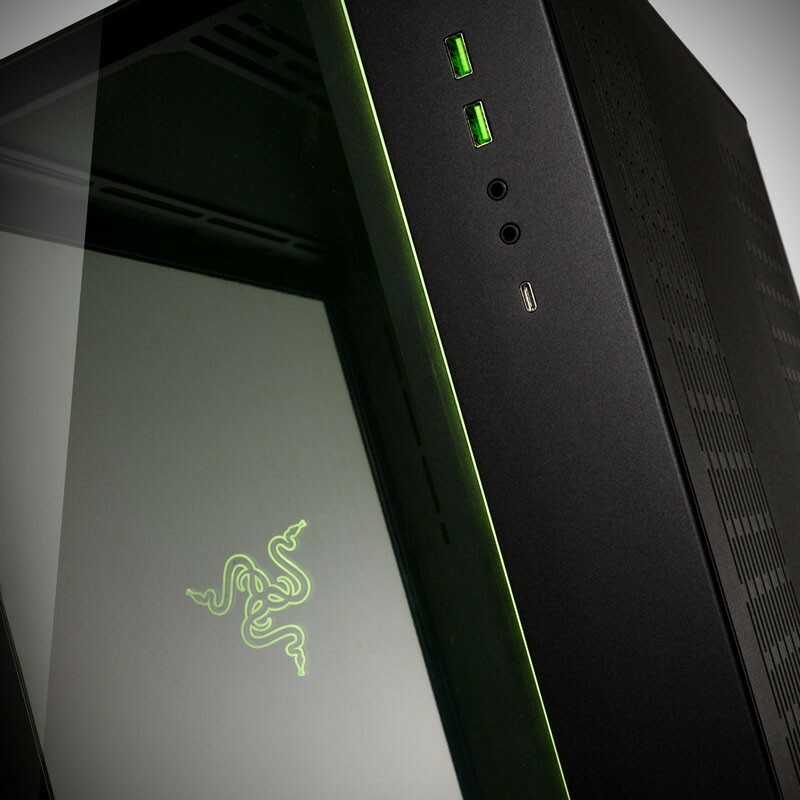 The Razer Edition also features an I/O panel that includes a useful USB 3.1 Type-C on the front of the case.